Chinese communities around the world welcomed the Year of the Pig on Tuesday, ushering in the Lunar New Year with prayers, family feasts and shopping sprees. In mainland China over the past week, hundreds of millions of people have crammed into trains, buses, cars and planes to reach family and friends in the world's largest annual migration, emptying the country's megacities of much of the migrant workforce. 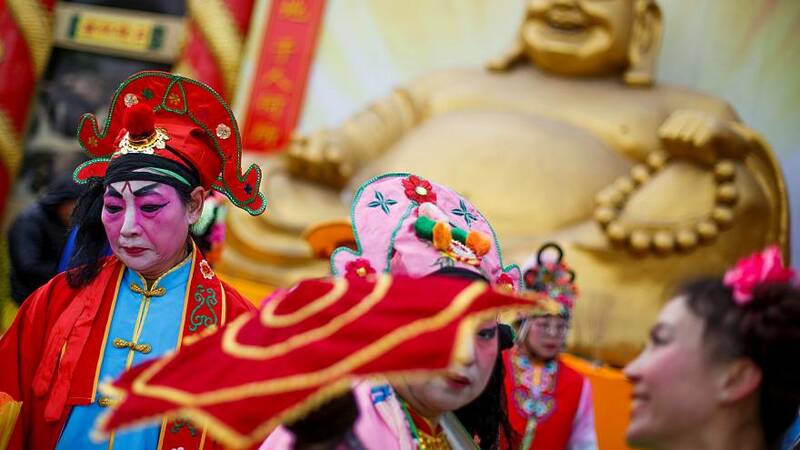 Celebrations will take place across the globe, from Southeast Asia's centuries-old Chinese communities to the more recently established Chinatowns of Sydney, London, Vancouver, Los Angeles and beyond. The most important holiday of the Chinese calendar, the New Year is marked with a fortnight of festivities as reunited families wrap dumplings together and exchange gifts and red envelopes stuffed with money.